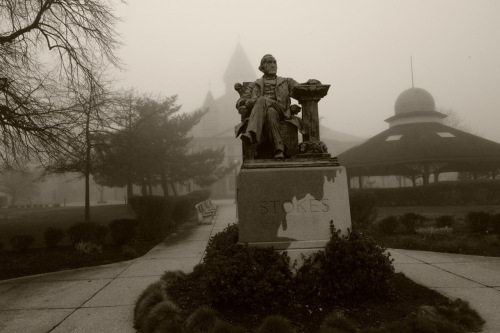 Should the statue of James Bradley be taken down in Asbury Park, and is Stokes next? 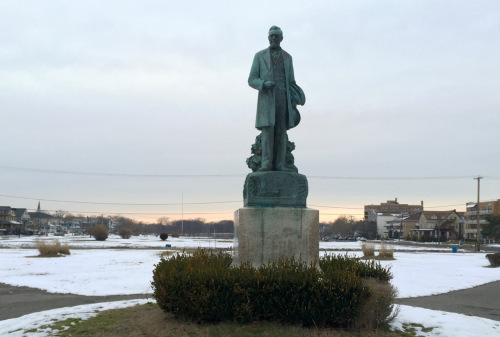 Now, a group in Asbury wants to take down the statue of James Bradley that has a prominent location in the park to the rear of Convention Hall/Paramount Theater. It was placed there in 1920 for the city’s 50th anniversary. I don’t think either of these statues should be taken down. Meaning is not cast in steel or stone, or in the whims or sincere recollections of past admirers. We, if not Grovers, have transfixed our gaze on history, and offer living praise for those that gave us repose. So keep these statues, and let the mind transfix or transform all hopes and delights. These statues, in steel and stone, give rise. What’s your’s? Maybe remembrance is the most solid and concrete way to protect the understanding of those who come after, and steel knowledge, history and repose.